Now that Oryx has arrived, the Hive aren’t the only swordbearers in the solar system. 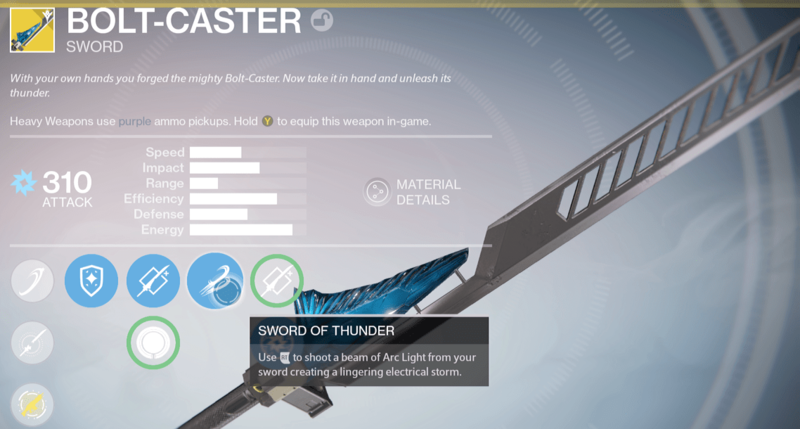 With a quest from Eris comes a new heavy weapon type: the Sword. 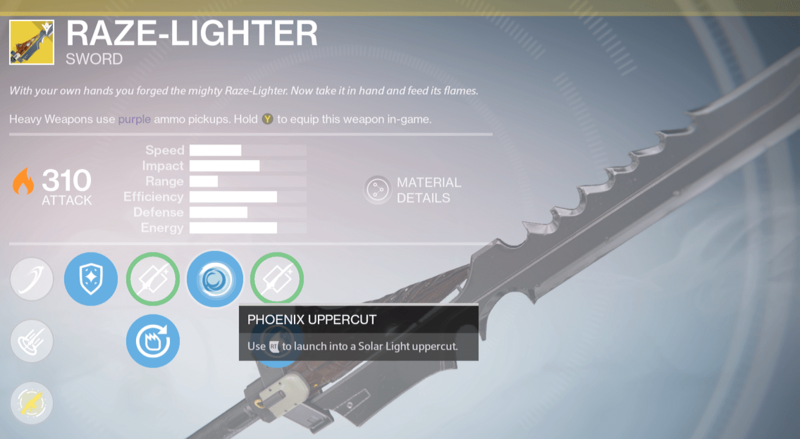 These elegant, high-risk/high-reward weapons are being forged by Guardians everywhere and giving rocket launchers and MGs a run for their money. How are you enjoying Swords so far? Do you prefer to use them over the standard heavy weapons? After completing the main Taken King questline and a quest called “Dread Patrol” given by Cayde-6, return to the Tower and speak to Eris. She’ll give out a quest called “A Broken Will” which will have you collecting 10 Motes of Light and 25 Hadium Flakes for Lord Shaxx. The only way to gather the Flakes is to patrol the Dreadnaught and loot chests like the good old days (the Mausoleum is particularly rich with loot). Once you cash in your Motes and Hadium, you’ll be able to select from Shaxx the Arc Edge, Sol Edge, or Void Edge – Destiny’s Legendary swords. Forged Guard: A “block” move effective against different elemental types, weak against the same element type (Arc sword less effective against Arc damage). 2 additional Scabbard perks are unlocked via XP and Infusion. The legendary swords offer a fresh change of pace and interesting strategic options in PvE activities. Clearing out large groups of minions is a breeze, and when getting swarmed, is often a helpful tool. By avoiding the long reload time of HMGs or the dangerous blast zone of your own rockets, a sword can clear a path and allow you an escape to the nearest hiding spot until your shields recharge. Swords don’t reload; they acquire and can use ammo instantly, which comes in handy when under pressure. The sword also makes quick work of new Taken enemies like Taken Captains, who with their unusual ranged attack can be hard to eliminate from afar. 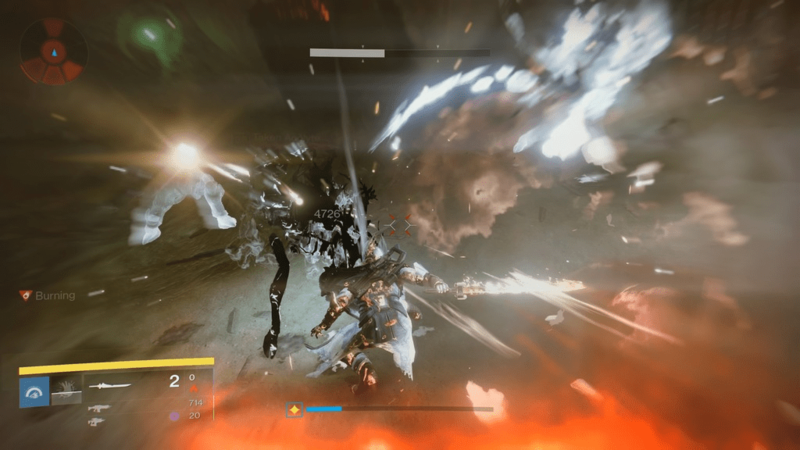 Attacking an ultra-tier enemy can be a risk just like with the Hive swords – landing a few swings without ensuring a kill puts you in deadly range of a melee attack. Though Bungie does follow through on their efforts to create interesting engagements and avoid camping strategies within the Taken King, it is still important to find hiding once in awhile – this is a serious aspect to consider when rushing headfirst into battle with your sword drawn. Joining an arena recently dominated by rocket launchers with proximity detonation perks, swords bring with them a few interesting advancements to the metagame. Though many of the same downsides from PvE carry over to the Crucible (closing distance between targets) the threat of a sword can often act as more of an intimidation device than a playmaker. When you’re wielding a close-quarters/melee weapon, it’s all about the approach. With a sword, there are a few ways to go about reaching your target. Because you can switch to a third-person perspective when wielding a blade, it’s imperative to use this to your advantage when peeking around corners. This can already be done by dancing or pointing, but the sword allows you to keep moving, and doesn’t make a notification on the kill feed. Another tactic when approaching is to make yourself known – when an enemy sees a glowing sword coming their way, they’ll know to stay at a distance. This might cause them to freeze up or switch weapons, allowing you the chance to switch to a primary and push in for a surprise kill. No, you didn’t get a sword kill, but you certainly won the engagement with its help. In tight spaces like hallways and tunnels, the sword acts as the path-maker it’s meant to be. A sword wielder closing distance using swipes is a hard target to hit, and waving it around will often send opponents into a panic. One of the more interesting sword mechanics is the blocking function, which can actually survive a rocket blast. It’s always recommended to hang back for a bit and let the rockets fly after heavy ammo drops – with less rockets on the field, you’ll be able to push the advantage with your sword. But in case you’re caught in a sticky situation, the shield can certainly help you survive, as long as you keep an eye on your escape routes. It’s possible that the evolution of the sword has only begun, and like other weapon types, Bungie will continue to develop the weapon class to further validate its place in Destiny. Swords are certainly a fun and exciting new edition – just watch out for those Ogres and Sunbreaker Titans! So, you’ve had a few swings with an Arc, Sol or Void Edge, and you’re looking for something a little more… deadly. 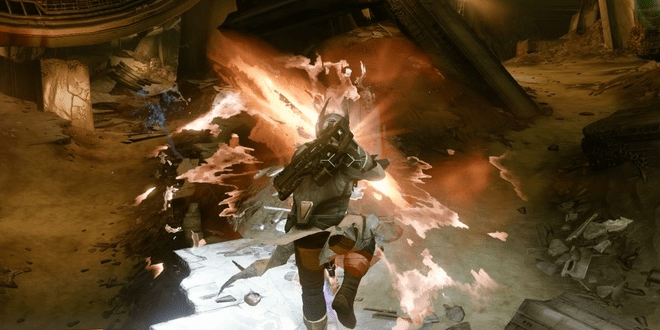 This guide will help you through “A Sword Reforged”, the tough quest that will leave you with one of the exotic heavy hitters: the mighty Raze-Lighter, thunderous Bolt-Caster, or the striking Dark-Drinker. After completing the “A Broken Will” quest, that awards you with a Legendary sword (outlined in this article), you’ll want to level up your Legendary sword and infuse it to a damage rating of at least 280. Remember, Infusing also works with rare weapons of a higher attack value. Upon strengthening your blade, speak to Shaxx to begin “A Sword Reforged”. Shaxx requires you to kill 50 Majors in a PvE activity and 25 Guardians in the Crucible. The latter can be a bit challenging, but with keen awareness and the right amount of bravery, it’s perfectly doable. To counter the lack of heavy ammo in the Crucible, you can kill a Guardian with two hits from the hilt of your sword, though this is not recommended if you care about your kill/death ratio. It’s best to take your time and enjoy yourself with this difficult quest – you’re in no rush. You’ll see why later. 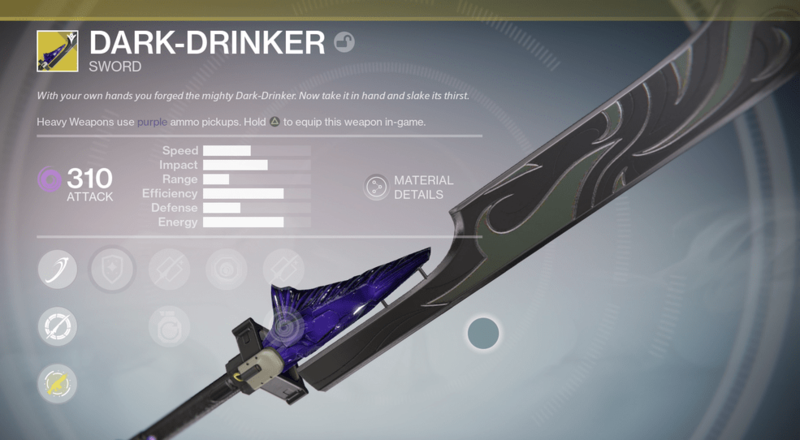 The third leg of A Sword Reforged leads you back to the Dreadnaught. From deep within ‘The Founts’ which can be reached through the crashed Cabal ship, you’ll be fighting Ecthar, Sword of Oryx. After entering the first hole in the ground at The Founts, you’ll navigate your way to the entrance of the center room and face off against three Warden Knights. Whittle down their health but don’t kill any of them – this challenge can only be passed by killing all three Knights with a single super use. Your best chance at pulling this off will be to use Golden Gun, Hammer of Sol, or Stormtrance. Now you can make your way through the door and give a go at Ecthar after a wave of enemies. Ecthar has a unique mechanic: his shield can only be damaged by your sword. So keep a blade at the ready, channel Obi Wan, Marth, Zoro or Altair – whichever swordfighter inspires you the most, and get ready for a proper duel. Make sure to utilize your Guard ability to defend yourself from your formidable opponent. After another conversation with Shaxx, you’ll be headed out to patrol for some “rare” materials and get some ability kills. Which material needed depends on the element of your current blade. The battle is done – this part is all grind, but you might need a break after your fight with Ecthar, anyway. Head to the appropriate planet and find natural Planetary material drops (chests don’t yield the rare material). You can get the appropriate ability kills (subclass depends on element) while farming, but to speed up this process, head to the Dark Beyond and throw some grenades for a bit. Then, you’ll talk to Shaxx once again, and he’ll put in an order for your Exotic sword. This is why there’s no need to rush or stress over this quest – you’ll have to wait until Wednesday. Finally, in the Sunless Cell Strike, you’ll need to defeat Adleg, Warden of Oryx, and then Alak-Hul, the Darkblade, within 30 seconds of each other. After that, return to the Tower to claim your Exotic Sword! You won’t lose your Legendary version!